The MDC Alliance leaders on Sunday addressed a rally in South Africa to encourage the people in the diaspora to participate in the voting processesback home. The MDC alliance rally was held at Rabie Ridge Tembisa SA. People came in their numbers to listen to their leaders. Allaince leader Nelson Chamisa was not there but professor Welshman Ncube delivered speech on his behalf. According to Mandla Masuku who attended the rally, notable present leaders was MDC T secretary general Douglas Mwonzora , Morgan Komichi , Tendai Biti and Mutambara. "All the leaders on their speeches gave clear message to the diasporans . 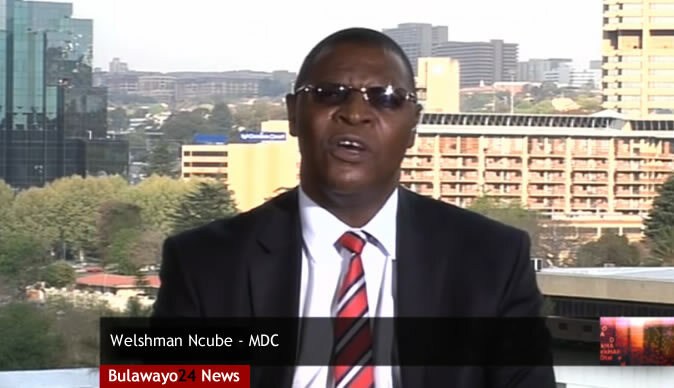 Ncube emphasized on the unity of alliance and bemoaned those who want to derail the alliance progress because of mp positions allocations," he said in his Facebook post. "He said the important thing is for us to win the president position ,as it will be futile to have Mps only without state power . Tendai Biti chronicle the strategy of reviving the economy , he said there is a need to resuscitate the industry and said Bulawayo should reclaim its status as industrial capital city." Masuku said Biti promised to build 100 billion dollar economy within 8 years they assumed power . "The most encouraging note was perseverance shown by people who attended the rally from 09:00 to 17:00 it was good determination. I'm 100% for MDC alliance soon I will start to be more active to ensure that we achieve the change we want," he said.